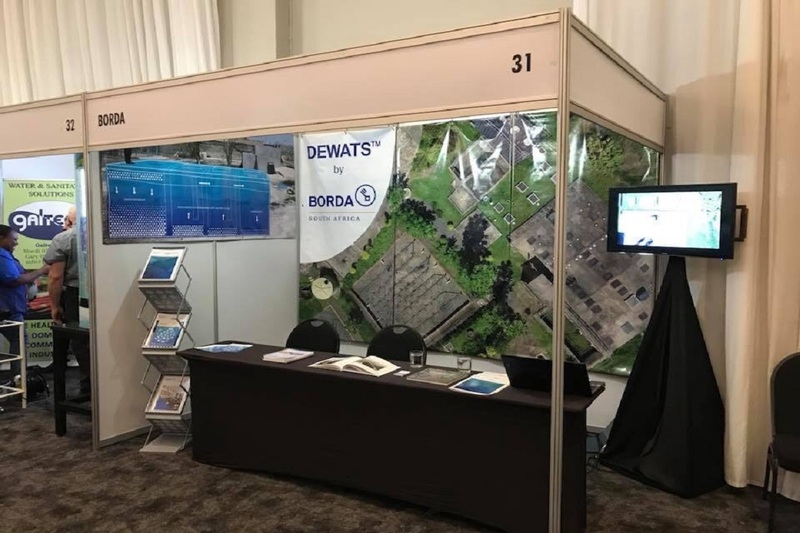 The 10 November 2018 exhibition and conference in Johannesburg, themed “Innovations today for tomorrow’s water and sanitation solutions” saw more than 50 emerging and established innovators from across the country showcasing and engaging with sector leaders about innovative solutions to challenges currently faced by the water and sanitation sector in South Africa. The conference brought together industry stakeholders from national, provincial and local government, as well as water entities, in an effort by the national Department of Water and Sanitation to use and invest in technologies that meet water and sanitation needs. 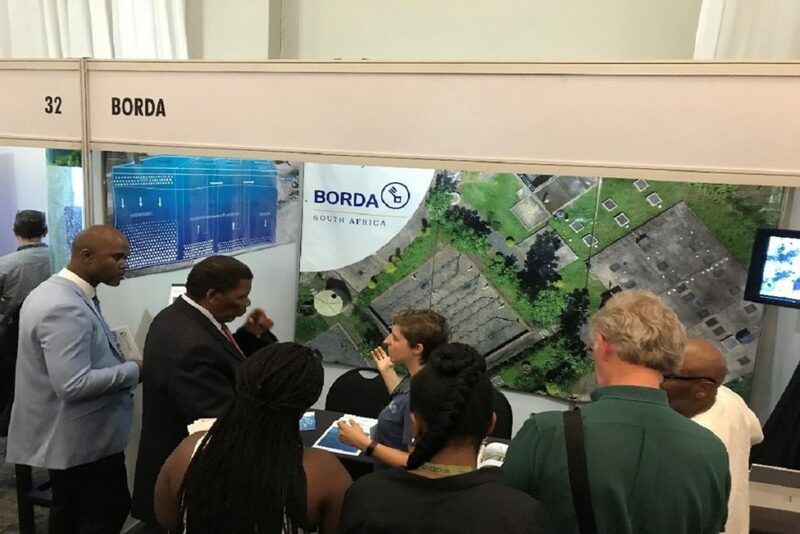 BORDA South Africa was invited by the national Department of Water and Sanitation as an exhibitor to actively participate in the conference and host a booth. 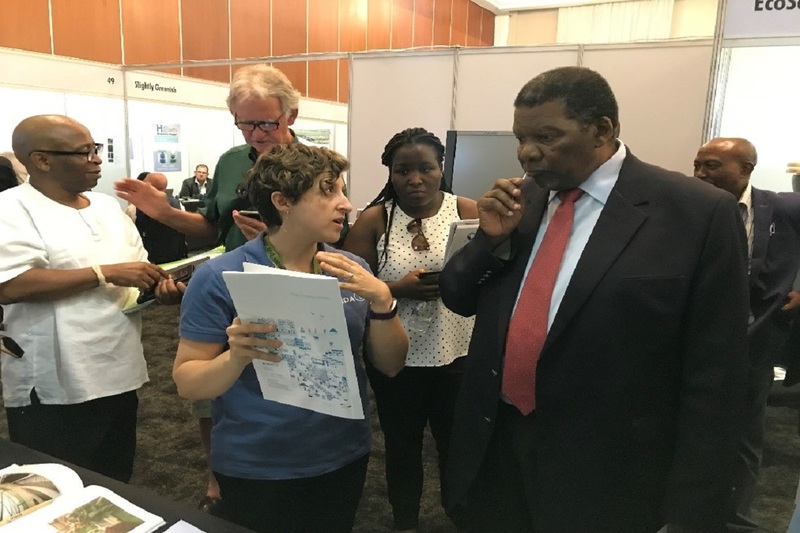 The Minister of Water and Sanitation Mr Gugile Nkwinti and his Deputy Ms Pamela Tshwete actively engaged with exhibitors in a walkabout to every exhibitors’ booth, giving BORDA South Africa the opportunity for direct exchange with national policy makers. The outcome of this conference places BORDA as one of the key innovators in developing technology for the water and sanitation sector with the potential to overcome the challenges faced by local, provincial and national governments.